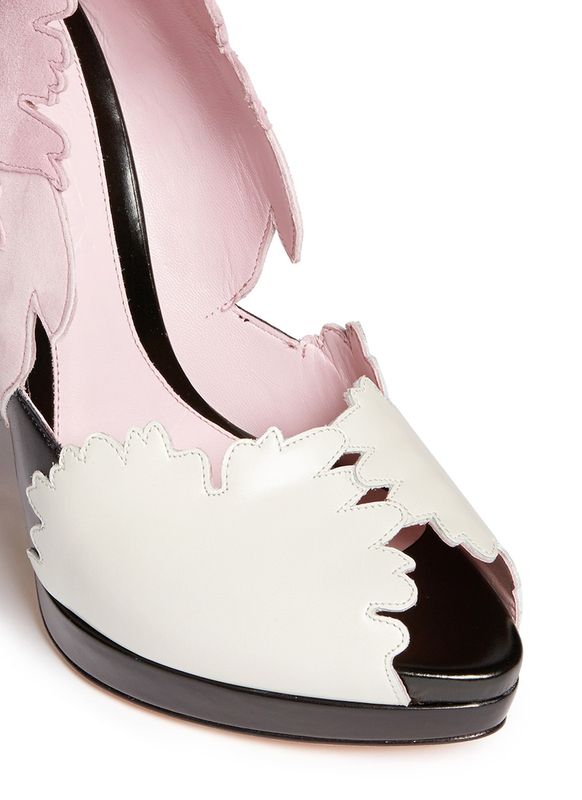 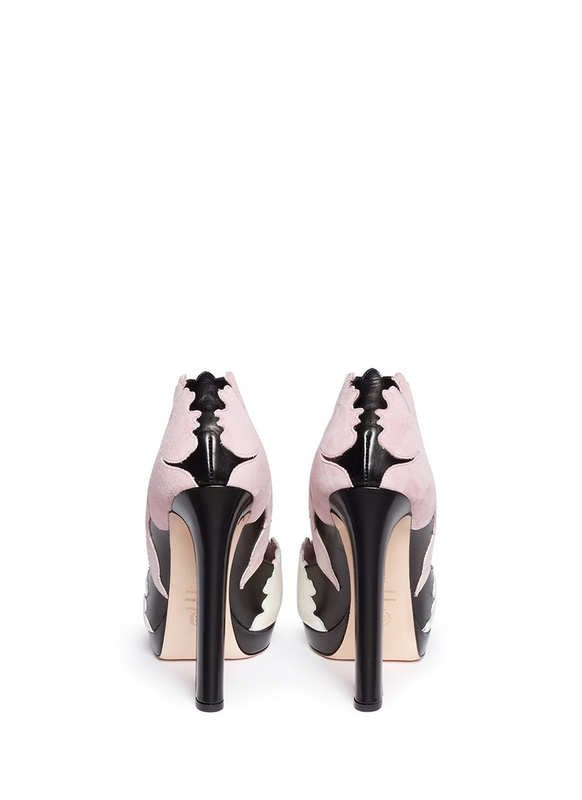 See more Alexander McQueen Court shoes. 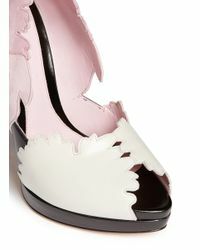 We check over 450 stores daily and we last saw this product for £355 at Lane Crawford. 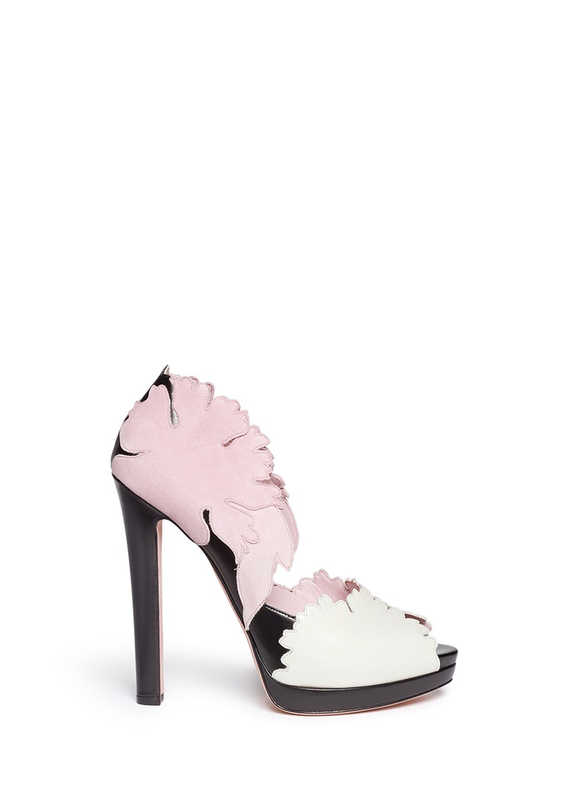 Hailing to Oriental beauty, Sarah Burton indulges in a Japanese frame of mind for Alexander McQueen's SS15 collection. 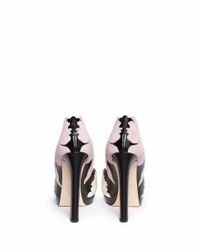 Delicate with its plethora of florals, this pair keeps its dark essence intact with the quintessential black colourway. 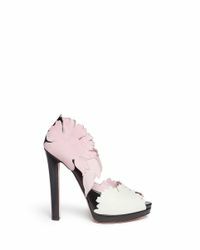 These Italian-made court shoes are beautifully sculpted with pink suede and white leather lotus flower appliqué, gently wrapping your feet with ethereal charm and feminine sophistication.